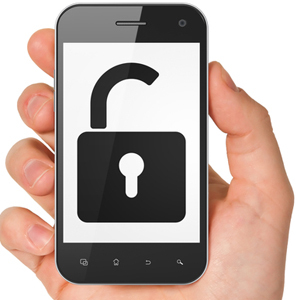 By Kellen Wittkop – Edited by Insue Kim On July 25, 2014, the House passed bill S517, the Unlocking Consumer Choice and Wireless Competition Act. This legislation was designed to make it legal for consumers to circumvent copy protection mechanisms for cell phone software when changing service providers—a practice known as “unlocking,” which had been illegal under the recommendation of the Library of Congress in the Digital Millennium Copyright Act ("DMCA"). The new bill was originally introduced by Senator Patrick Leahy [D-VT] on March 11, 2013, and it has not been amended since its introduction. The House originally passed a version of the bill that included controversial language which would still outlaw unlocking in bulks. After consumer group backlash, however, the Senate passed a version without the controversial language, and the House agreed to approve this version. The new bill essentially aims to increase consumer choice, allowing consumers to unlock their phones freely, as long as their device is fully paid for. Now that President Obama has signed the bill into law, it is now easier for cell phone users to change their phone service provider without having to purchase a new device. A summary of the history surrounding the bill is available here. The Washington Post discusses the future implications of its passage. PC, Ars Technica, and the National Journal provide additional commentary. The passage of this bill marks the initial step in a movement towards broadening consumer choice in technologies and copyright law. While it is certainly a step forward, switching service providers might not always be easy. The current law largely applies to carriers who use GSM technology such as AT&T and T-Mobile. Devices for carriers who use CDMA technology, such as Verizon and Sprint, cannot be switched to a GSM network, and vice versa. Also, wireless carriers may not let consumers unlock their phones without a valid reason, especially if they are under a previously signed contract and thus are under an obligation to fulfill the terms of the contract. It should also be noted that the Unlocking Consumer Choice and Wireless Competition Act falls under the Digital Millennium Copyright Act, which is reviewed every three years. This means that, though unlikely, the law could be reversed when it is reviewed in 2015. To avoid a pointless back-and-forth between implementation and reversal, copyright reform advocates argue that circumvention law as a whole should be changed. The circumvention provision of the Copyright Act is not only applicable to cell phones, but also to cars, hearing aids, e-books for the blind, Keurig coffee machines, and even farm equipment—technologies that increasingly rely on software. On one hand, owners of software programs have an interest in protecting their software from unsanctioned modification. On the other hand, copyright reform advocates claim that circumvention prevents consumers from making legal repairs themselves and discourages tinkering that has inspired many inventors. As part of the bigger picture, “circumvention” will likely be a recurrent issue in Congress going forward.